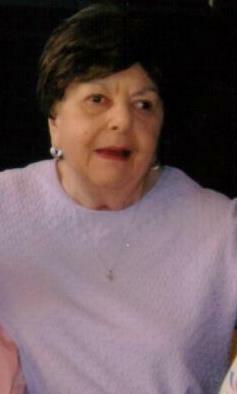 Haburchak Alice Marie 82, of Greenfield. Passed away peacefully surrounded by loved ones on Wednesday, January 30, 2019. Preceded in death by her husband Michael S. Haburchak, and parents. She is survived by her aunt Patricia Lipscak, cousin Elaine (Paul) Buttenfield, and numerous family and friends. Alice retired from AT&T after 30 years of service. She enjoyed taking pictures, sharing albums, sending greeting cards and staying in touch with family and friends. She looked forward to lunch outings, “tea parties” with Loretta, hair “fixings” with Dora and Greenfield AARP 2611 meetings with Eleanor and friends. Friends will be received on Friday, February 1, 2019 from 2-4 and 6-8 PM at the Edward P. Kanai Funeral Home 500 Greenfield Ave 15207. Funeral Saturday at 9:30 AM with Funeral Mass at St. John Chrysostom at 10 AM.